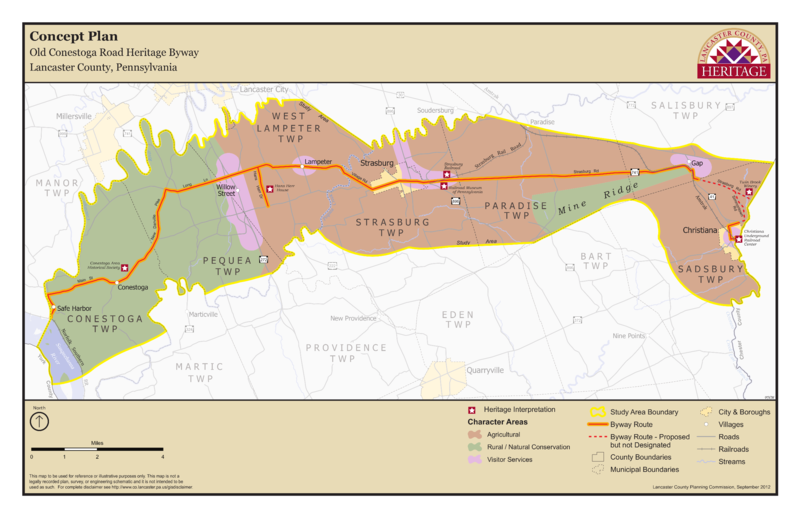 During my time working with the Lancaster County Planning Commission, one of my favorite cartographic projects was designing the Heritage Byway map series. Two byways were adopted during my tenure. The goal of the project was to develop a standard layout and design for a series of maps telling the story of the byway. The maps in the atlas included the Concept Plan, Historic & Cultural Resources, Natural & Recreational Resources, Agricultural Resources, Viewshed Analysis, Transportation Issues, Generalized Zoning, and Existing Land Use.